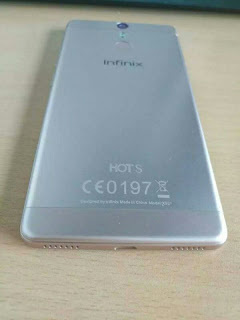 Hello Techbmc loyal reader, on your table, I bring to you the latest trending rumoured device known as Infinix Hot S. The remore about this Infinix device is all over the internet, and to have it, infinix company is on the verge of launching another version of infinix smartphone in the Hot series. The device is on the way and it is coming with awesome features and specification which I think none of you would like to miss. It has always been that, whenever a mobile phone is being rumoured about, its always 99.8% true. So that is to say, surely this device is coming with great specs you can ever think of. √ Meizu M3s Specifications, The Price And Images. The leaked specs as was reviewed about the device, is that it is coming with a designed full metal body and Will be in the form or similar to infinix zero 2, has awesome feature of LED flash which comes with 8MP. comes with a MediaTek Helio X10 processor, 3GB RAM, fingerprint scanner, VR technology among other features. The smartphone device is als rumored to be pre-loaded with Infinix XOS custom user interface, that means you ought not to miss this great device. Are you going to rock it? What is your say about this device, are you gonna rock it once it is out for real? Your comment matters a lot to us, remember to share this post with friends.